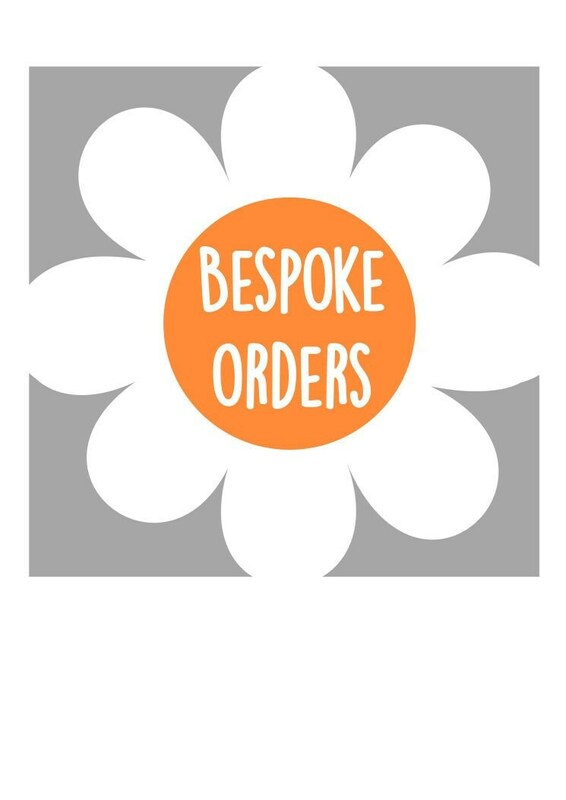 We are happy to take bespoke orders. Please contact us before placing an order to discuss requirements and any extra cost. All payments are due upon purchase. International customers are welcome. Please note that all duties, VAT, and custom fees are the buyers responsibility. I will not mark a package as a gift. This is against the law. As standard items are sent via Royal Mail but if I have cause to post via courier I will notify this on the dispatch note. Posting time scales (this are not guaranteed but they are the approximate times you should expect to wait for delivery) If ordering for a specific date please allow plenty of time for your parcel to arrive in time. Please also be aware that as the seller we do not pay for any applicable duty, value added taxes (VAT) or import consumption taxes charged to you by your country. The recipient of the merchandise will be required to pay the duty or VAT upon delivery. Due to import duty valuation adjustments and currency valuations, we are unable to provide an estimate for duty or VAT. All items are made to order so we do not offer refunds but if your item is damaged or lost please contact me and I will always do my best to correct the issue. All my designs are copyright © Sarah Hunt 2011. For purposes of EU data protection law, we, Just Toppers, are the data controller of your personal information. If you have any questions or concerns, you may contact us using the CONTACT SELLER button or the contact seller information in our Etsy site. I am a repeat buyer. Sarah is extremely talented and is able to turn every request into a memorable item. I gladly recommend her to everyone I know! Thank you Sarah, great quality, exactly what we wanted at great price. I will be back for more in the future! Adorable item, good quality, quick delivery. Sarah (seller) very helpful. Would definitely recommend it.